My parents had their annual Canada Day party on Friday. 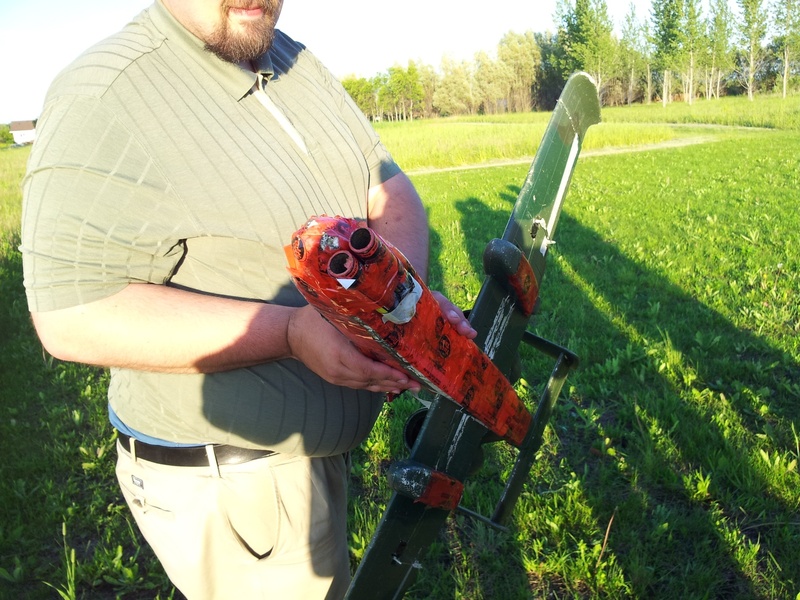 As part of the festivities that afternoon, my brother taped two fireworks onto his remote-controlled model A-10 airplane. Future plans for the plane include installing an electric ignition system using the radio channel originally meant for raising and lowering the plane’s landing gear. That should be interesting. 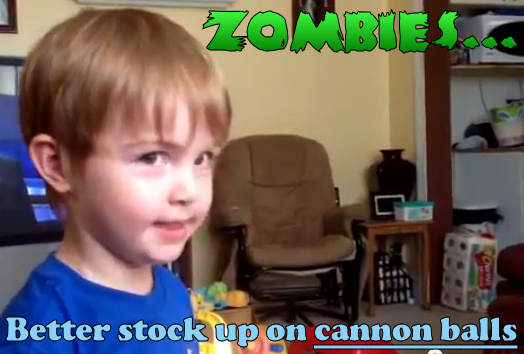 At three years old, my Nephew is already killing zombies. Apparently he picked up the concept from daycare, which is run out of the house of a friend. A Five Guys Burgers and Fries restaurant opened in my city recently, and I picked up some dinner there yesterday. I had heard good things about it from Americans (the restaurant only recently branched out into Canada, as far as I know), and I was anxious to try their burgers out. Unfortunately, my experience left a lot to be desired. The burger was very bland. It didn’t seem as though they seasoned the meat at all. And although they offer an excellent variety of toppings, everything still just tastes bland. Even their pickles — potentially the most overpowering of toppings — didn’t really taste like anything. Their menu is messed up as well; their normal burgers are double burgers, and their mini burgers are normal burgers. Their fries were especially atrocious. They can be described in two words: soggy and undercooked. I don’t think I’ve ever seen worse fries served in a restaurant before. I spent over $13 on a bacon cheeseburger and regular fries (no drink). For that kind of money, I expect at least something better than what Burger King or A&W can put out. I honestly can’t think of a single positive thing to say about their food other than that I was able to eat it without gagging. So unsatisfied was I with the burger and few fries that I managed to eat that I seriously considered inducing myself to vomit just so I could get it out of me. Final rating: one burger out of five.